The following resources are provided for Digger's Story promotional purposes. 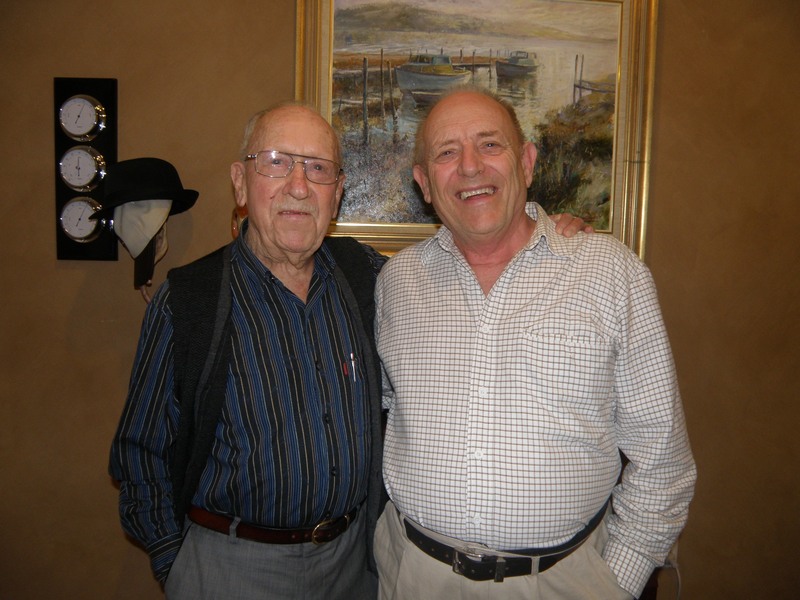 See the Author Biographies page. 22nd June 2012 - Josh Nyman - Albany Advertiser: "Do you recognise these twins?" 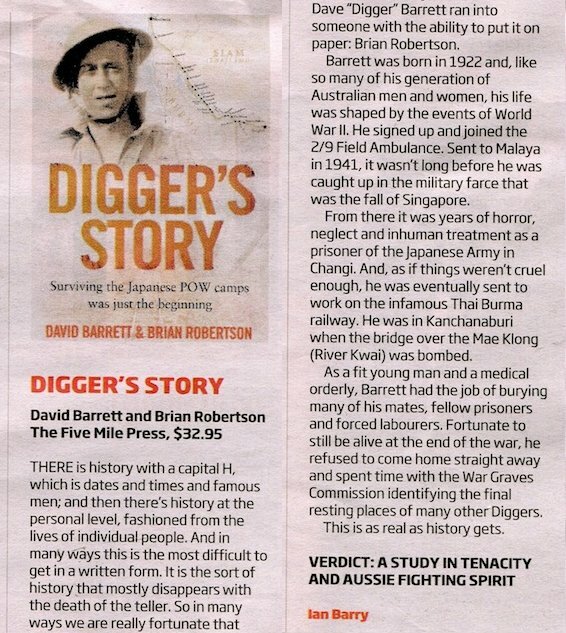 7th August 2012 - Kiri Ten Dolle - The Satellite: "Sad end to Digger's Story"
11th August 2012 - Ian Barry - Courier Mail: "Digger's Story"
Update: Brian Robertson is based in Queensland and is available for interviews. Contact information for the authors and the publisher is included at the bottom of the page. Click on an image for a slideshow including captions. Within the slideshow, right-click an image and choose "Save" to save the highest resolution version. 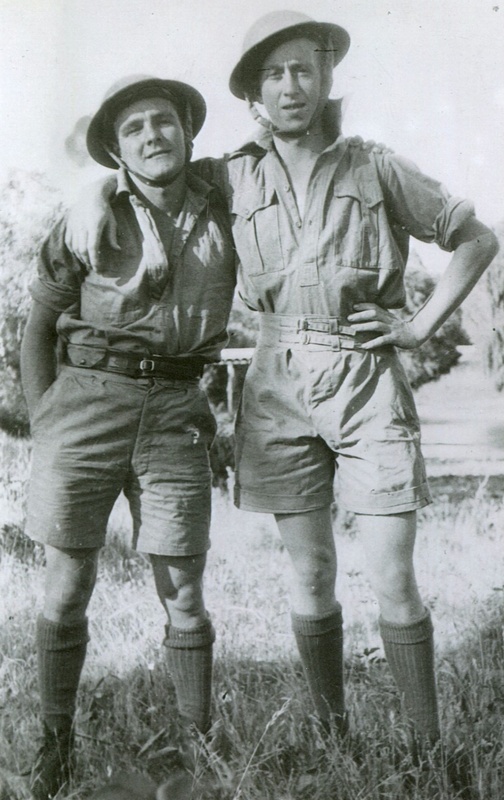 Joe Milledge (left) and David 'Digger' Barrett (right), Malaya 1941. David Barrett (left) and Brian Robertson (right), Brisbane 2012.